He used to Work as a Chef in Hongkong before Starting to work in Movies and Learned Martial Arts. in 2009,He was Awarded the Padma Shri by the Government of India. Akshay Kumar made his first appearance as the lead actor opposite Raakhee and Shantipriya in Saugandh (1991). 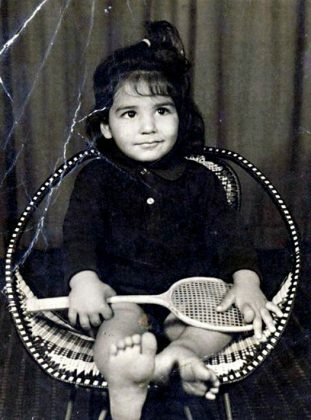 He gained popularity and was widely recognized after his 'Khiladi' movie series. His stunt expertise and action scenes added to his charm. In 1994, Akshay Kumar played a police inspector in two films: Sameer Malkan-directed 'Main Khiladi Tu Anari' which was a remake of Hollywood film 'The Hard Way', and Rajiv Rai-directed 'Mohra' which were among the highest-grossing films of the year. Later that year, he starred in Yash Chopra-produced romance, 'Yeh Dillagi' opposite Kajol. His role in the film Earned Kumar his first nomination for Best Actor at the Filmfare Awards and Star Screen award. Akshay Kumar has worked in all genres, viz Action: "Khiladi series - 'Mohra', 'Khaki' Romance: "Dil to Pagal Hai", Andaaz. Comedy: 'Hera Pheri', Mujhse Shaadi Karoge, Heyy Baby, Bhool Bhulaiya, OMG. A 2016 Movie of Akshay, Named 'Airlift' was Based on a Real Life Incident of a Kuwait based Indian Business 'Mathunny Mathews', who helped with the Evacuation of 170000 Indians from Kuwait, During Iraq's invasion of Kuwait, it was Claimed to be the Largest such Evacuation exercise. Hera Pheri, which Released in 2000 Proved Akshay's Mettle in comic Roles, Later he Excelled in this Genre by Doing Many Successful Comedy Films. 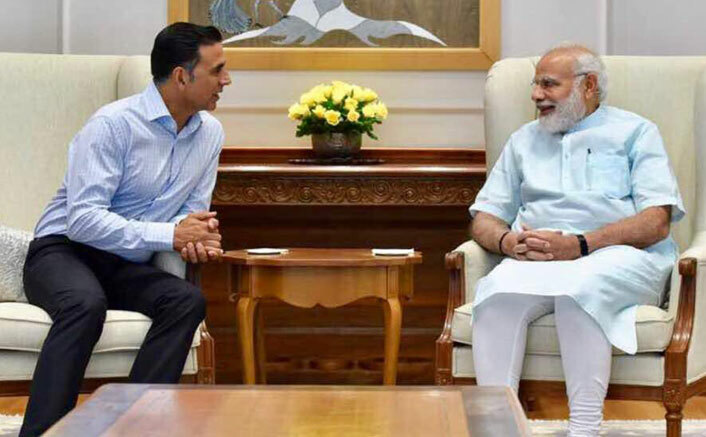 Recently Akshay Kumar worked in and co-produced a social awareness movie 'Toilet:Ek Prem Katha', which raised the issue of open defecation and the problem faced by ladies in villages. The film was a commercial success and was widely acclaimed. In 2015, Akshay Kumar was ranked 9th in Forbes' first global list of highest-paid actors in the world. The following year he was awarded the Padma Shri by the Government of India. Akshay Kumar became a producer by starting a production house "Hari Om Productions" in 2008. His wife Twinkle Khanna and mother Aruna Bhatia were co-founders. Later in 2011 he started another production house named 'Grazing Goat Pictures' along with friend 'Ashvini Yardi'. 'OMG-Oh My God' was the first film produced by Grazing Goats. It won the "National Film Award" for Best Adapted Screenplay. 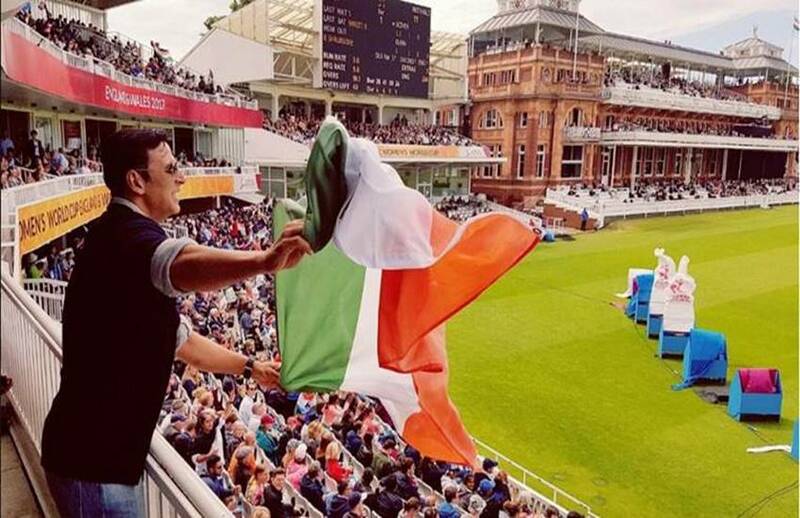 Akshay Kumar has taken Canadian citizenship; though as Constitution of India prohibits full dual citizenship, he is likely an Overseas Citizen of India. He was one of the 15 international celebrities invited for the Olympics torch-bearer rally to Canada. In March 2013, Akshay Kumar started a 30-bed cancer shelter for policemen in Naigaon. 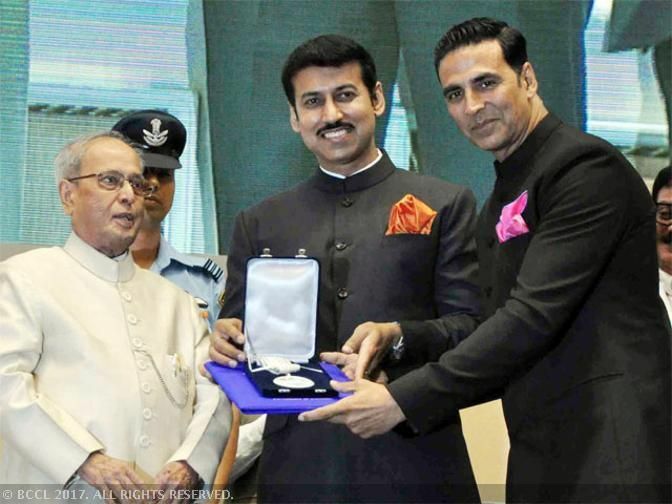 As of 2013, Akshay Kumar has been Hindi film industry's highest advance taxpayer for six consecutive years. He paid Rs.19 crore (US$3.0 million) as advance tax payment in that year. On 9 August 2014, Kumar performed at his 500th live show. The show was held in O2 Arena in London as part of the inaugural function of the World Kabaddi League. Kumar owns a team in the Kabbadi League. Kumar also had donated a sum of Rs.90 lacs to drought hit farmers in Maharashtra in 2015. He has also donated INR 50 lacs to aid drought affected people through the Maharashtra government's Jalyukt Shivar Abhiyan. ➯ "Controversies are a Package Deal in this industry. You just have to understand that and accept it"
➯ Look at what destiny had in store for me. I married my idol's daughter! I still can't believe it. Who wasn't his fan in the 1970s and 80s? I remember queuing up for hours with parents to watch repeatedly Aradhana, Amar Prem, Kati Patang, Prem Kahani, Aap Ki Kasam, Chhailla Babu, Anurodh, Amardeep and then watching as a teenager in theaters Bandish, Kudrat, Aanchal, Ashanti,Souten, Awaaz, Dharm Aur Qanoon, Maqsad, and many more. These are among my favorite films of all times.